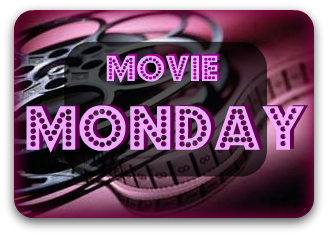 Steph's Stacks: Movie Monday: DVD - "Twilight: Breaking Dawn Part 1"
Movie Monday: DVD - "Twilight: Breaking Dawn Part 1"
Plus a sneak peek at Twilight: Breaking dawn Part 2! The end is near, friends! Stephenie Meyer blockbuster Twilight series has made quite a run as a blockbuster movie series and that run is now drawing to an end. 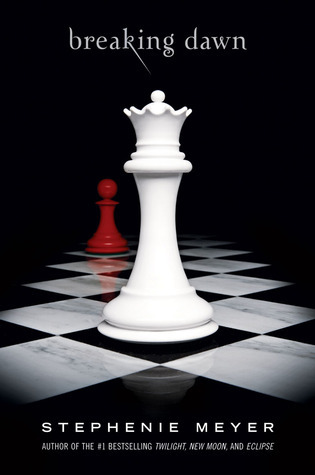 For those of you who may have missed the latest movie, Twilight: Breaking Dawn Part 1, while it was still in the theaters. Or for those of you who prefer to crush on Edward/Jacob in the privacy of your own home, the DVD/BluRay version was released to much fanfare this past Friday at midnight. Maybe you've just returned from an eight year Arctic vacation, or maybe you've just been closing your eyes and plugging your ears every time the topic comes up, but (in case you missed it) a little writer named Stephenie Meyer wrote a little series about an introverted, awkward girl named Bella, a brooding, mysterious vampire named Edward, and a soon-to-be werewolf named Jacob, all living in the rain-soaked town of Forks, WA. A couple of people read it and thought it was pretty cool. Now that Bella has made her decision, a startling chain of unprecedented events is about to unfold with potentially devastating, and unfathomable, consequences. Just when the frayed strands of Bella's life-first discovered in "Twilight," then scattered and torn in "New Moon" and "Eclipse"-seem ready to heal and knit together, could they be destroyed... forever? The astonishing, breathlessly anticipated conclusion to the Twilight Saga, "Breaking Dawn" illuminates the secrets and mysteries of this spellbinding romantic epic that has entranced millions. The movies have just been getting progressively better and better (remember Edward's horrible glitter/sweat from the first movie?) The much-anticipated wedding and honeymoon sequences were great and I was amazed at the special effects involved with making Bella emaciated toward the end of the movie. I only giggled a little when the wolves had their "Saturday Morning Cartoon" scene where they were having a huge mental argument/break up. Or when they CGI'd a face on Renesmee during the imprinting scene. I know! I was freaking out how good the CGI was. Those damn wolves... Can't wait for the next one! But in the meantime there's always Hunger Games! I didn't know they were releasing a new trailer next month ! I just found out myself! I'll keep you posted as soon as it comes out.